After a couple days of volunteering, it was the weekend and time for some hiking! Our goal was to do some of the hikes that we didn’t get to do while we lived there. The first one we started with was the South trail to Kaena Point. We had taken the North trail a few times but hadn’t ever explored the South side. Our drive there was stunning. It was our first time to that side of the island and neither of us realized how pretty it was! Very open trail. Lots of sunscreen was needed! Abandon truck along the way. Monk seals!! Josh’s first time seeing a monk seal! I took many pictures. 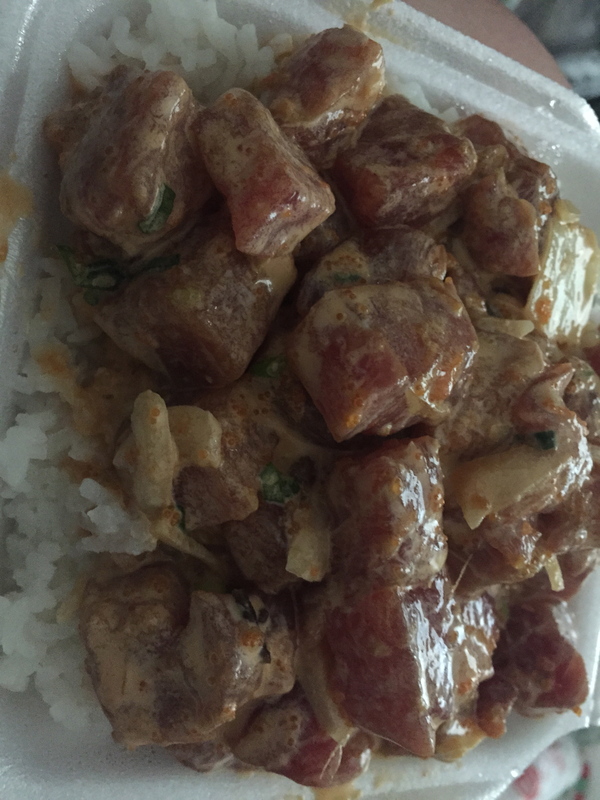 After a pretty awesome trip to Kaena Point, we were both starving and went straight to get some poke at our favorite – Ono Seafood. We went back to the apartment and showered before deciding what to do for the evening. We decided on eating at House Without a Key at the Halekulani hotel in Waikiki. We sat outside and enjoyed the amazing weather and a really great meal to end our day! The next day, we got up and hiked Kuli’ou’ou Ridge. This is one of our favorite hikes on the island and we were really excited to get to hike it again. The view of the Windward coast at the top of a hike never gets old! Always such an incredible view. 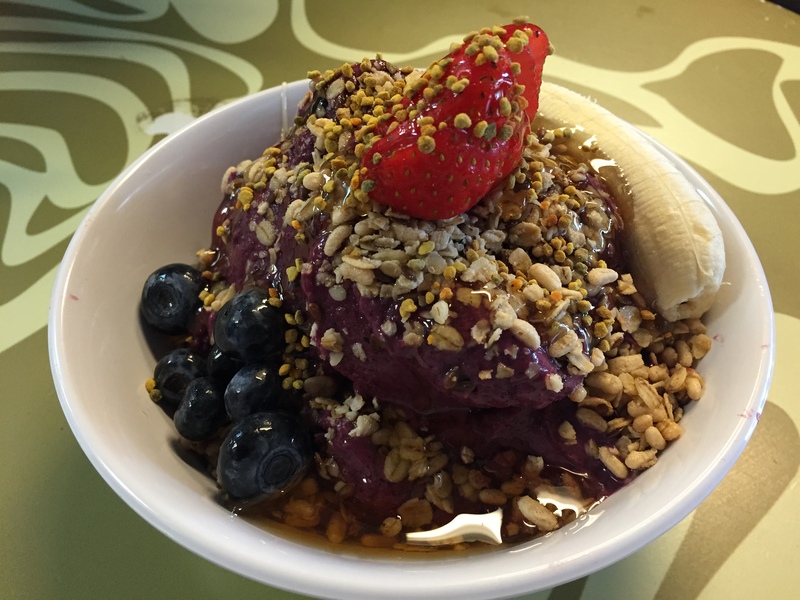 After the hike, we got lunch near Diamond Head at Bogarts and then had my favorite açai bowl from Diamond Head Cove Health Bar. After a shower, I met some friends from BGCH for dinner at Side Street Inn while Josh did homework. We tried tons of different food as it was family style. So fun! On Monday, we had a laundry day and then met Andy and Anna at Bellows beach to hang out. I sadly didn’t take any pictures at the beach…too much fun catching up! A great way to end our long weekend! This entry was posted in Adventures, Bon Appétit and tagged açai bowl, adventure, beach, Diamond Head Cove Health Bar, food, friends, Hawaii, Hawaiian Monk Seal, hawaiian outdoors, hiking, Honolulu, House without a Key, island life, Kaena Point, Kuli'ou'ou Ridge, Monk Seal, Oahu, ocean, poke, Side Street Inn, Sunset, valley, Waikiki by sandersnm. Bookmark the permalink. Stunning photos, including the food!